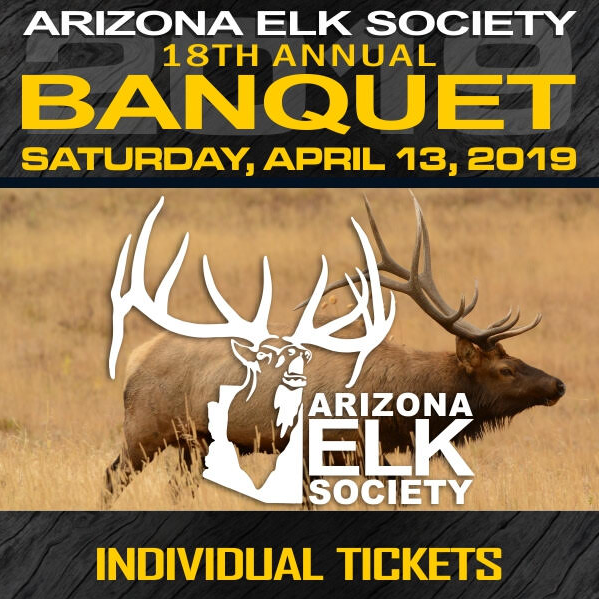 We are now LIVE with the 18th Annual Arizona Elk Society 2019 Banquet and we would LOVE to have you there. Every year we think and strategize on how we are going to do it bigger and better each year. Well, We have done it again and you don't want to miss it. Get your tickets NOW! In 2018 Our Banquet was nearly sold out in just 2-3 weeks. That was over 2 months prior to the Banquet. We don’t want you to miss out on this year’s Banquet, as always, we will have over 100 firearms and lots of Hunts, fun games, great gear, trips, art and jewelry for you. And don’t forget that Commissioners ELK tag.